We’ve all done it. We’ve all characterized people as one factor or another relates directly to us. That little phrase got bandied about quite a bit when I was working day-to-day in the frequently maligned (and sometimes deservedly so) “Christian music industry.” My colleagues/friends and I would delight in the times when we’d meet “one of us,” because we knew we’d get better answers to questions and a broader-based look at the world, one we frequently shared. The definition went above and beyond the people we like or would want to spend some time with outside the work environment. They were the people who’ve been through some crap and come out the other side, not always entirely whole, but certainly with perspective and a desire to communicate it. Here’s a dirty little secret not often mentioned aloud: not everybody who works in Christian music thinks the same. Shocking, I know. Not everybody personally buys into the “God equals guns, money and country” form of American Churchianity (hat tip to Jim Thomas for that particular phrase) that seems to dominate much of the cultural landscape. The truly innovative artists in the genre aren’t afraid to ask questions, privately and in the company of other “ones of us”. But they also know their commercial lives depend upon dumbing down doubt and elevating absolute, unwavering belief in the faith their audiences have pre-ascribed to them. So it seems increasingly rare to hear viable, outstanding art that addresses matters of faith with questions attached. Thank God for Phil Madeira, and thank God for Mercyland. Phil is most assuredly “one of us,” and has been for a very long time. He’s plied his trade in the trenches of Christian music, but his talent, his skills are too vast to be contained by that narrow definition. 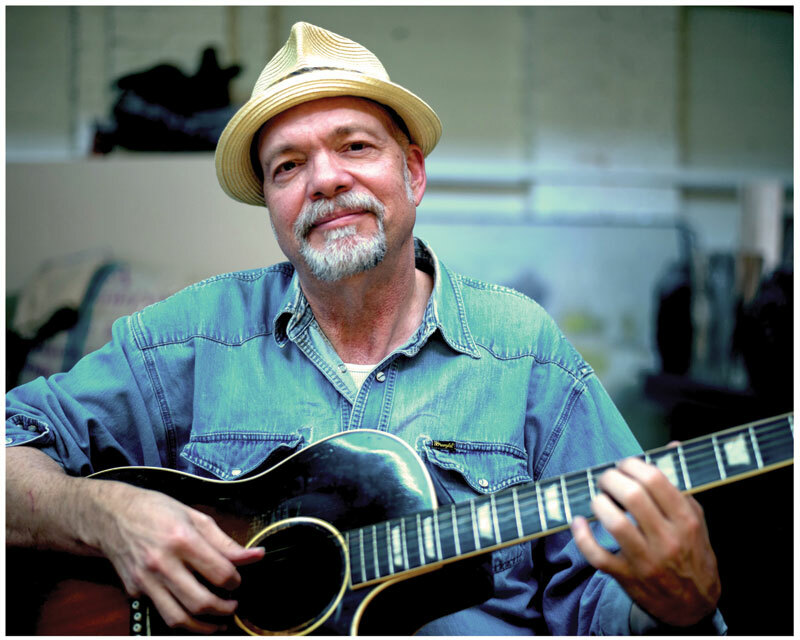 So he has spent the last decade-and-a-half or so as one of Americana music’s (another way too simultaneously broad and narrow genre) most capable sidemen, for extended runs with Buddy Miller and currently with Emmylou Harris’ Red Dirt Boys. I’ve always known that encounters with Phil were going to leave me refreshed, be it by laughter or spirited argument or a wee bit of conspiracy — one of my favorite memories involves him stopping me in the lobby of the Renaissance Hotel during the then-annual marathon grip-and-grin session known as Gospel Music Week to tell me he had a cut on an upcoming Toby Keith record titled “If I Was Jesus,” reciting some of the lyric and me wondering if Toby’s team truly knew what they had on their hands with the song. And when they turned it into a Jimmy Buffett-with-dobro quasi-party song, clearly they didn’t. So when I heard he had spent the last couple of years slowly writing songs and gathering performances based on the idea of “hymns for the rest of us,” I knew the resulting record was going to be something special. I didn’t know how right I was. Everybody approaches that understanding of God differently, and I imagine that’s the case for every artist represented on this record. But the unifying theme is the reaching out, the identifying of that force bigger than us, and choosing to both rest in and act on the knowledge of it. 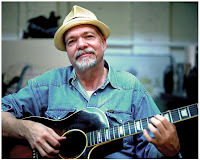 Buddy Miller’s take on “I Believe In You” and Cindy Morgan teaming with Madeira for the homey, poetic “Leaning On You” represent that knowledge, just like the North Mississippi Allstars’ rescuing of “If I Was Jesus” and the record’s most impactful track “Give God The Blues” by Shawn Mullins hold up the mirror to remind us not to get too self-righteous about that knowledge. The production on Mercyland is minimal, the performances raw and spirited and sad and joyful exactly when they need to be. The Civil Wars’ kickoff track “From This Valley” is a touch brighter than the material on their splendid debut Barton Hollow, but the celebratory nature is needed to lead one into the grittier message delivered on Mullins’ track. The Carolina Chocolate Drops' “Lights In The Valley” recalls the best of strum-for-your-life campfire singalongs, which John Scofield counters on the instrumental closer “Peace In The Valley,” bringing the album in for a gentle landing while you think about the completion of the journey. In between reside standout performances by Mat Kearney, Amy Stroup, Dan Tyminski, the project’s spiritual and literal champion Emmylou Harris and Madeira himself. 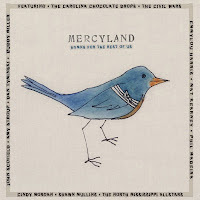 Mercyland is art informed by faith and grounded by reality, something I know so many "ones of us" have been looking for for a very long time and hope others will be compelled to make more of in the very near future. Thanks Lucas for highlighting this much anticipated album (anticipated at least by me) and for giving Phil the props he deserves. Always a fan of you both.